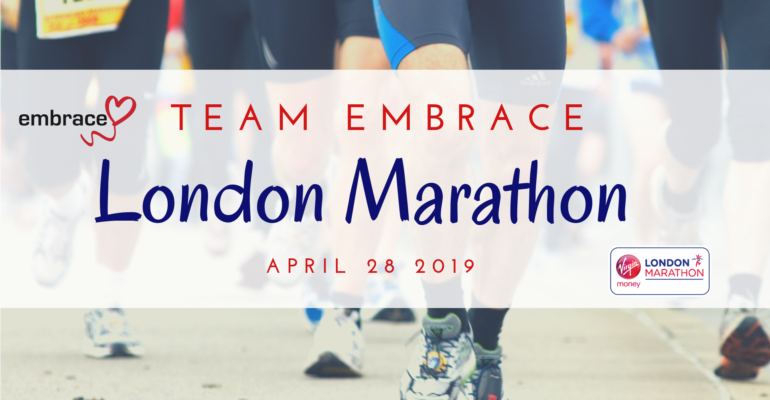 Embrace Child Victims of Crime is delighted to introduce Team Embrace for the 2019 London Marathon. Robert Haylock, Dafydd Llywelyn, Rachel Stone, Martin Hart will together be supporting young victims of life-changing crime with every step of the iconic route. Embrace delivers vital emotional, practical and cheer-up support to children across the UK who have suffered trauma through crime and heavily relies on public donation. The funds raised by Team Embrace will used to help children cope and recover from their experience, and go on to fulfil their potential. This year, our team consists of a number of high profile individuals including Dyfed Powys Police & Crime Commissioner and Embrace Trustee Dafydd Llywelyn, Bedfordshire Police Detective Constable Martin Hart, and Bedfordshire Signpost Victims Service Manager Rachel Stone. Wearing our eye-catching Embrace running vests, our marathon runners will be raising both awareness and sponsorship funds. Chief Executive Anne Campbell says: “Our London marathon places are highly coveted and we’re delighted to introduce our marathon team for 2019 which includes one of our very own Trustees, Dafydd. Embrace will be following our marathon runners through their challenging training schedule.